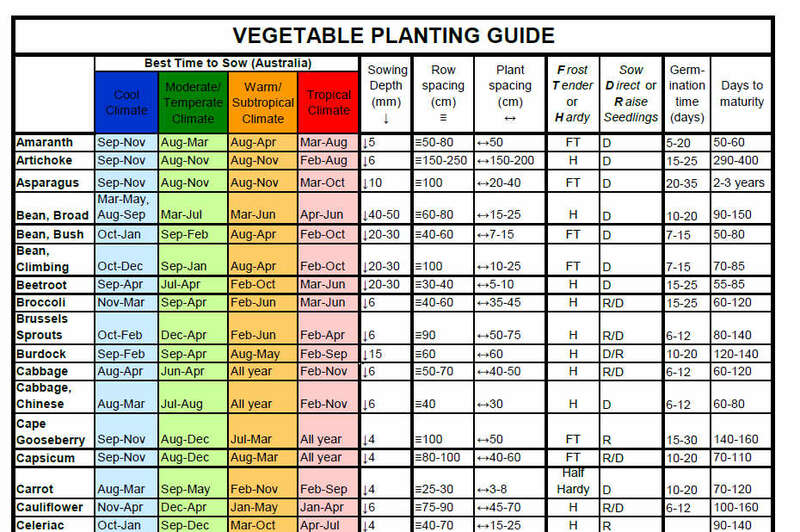 PDF file containing information on sowing time, sowing depth, plant spacing, row spacing and sowing method for most common vegetables, herbs and flowers in the Australian climate zones. The chart can be saved or printed. The information is of a general nature and does not take into account specific varieties, climates or situations.